University of Southampton engineering alumnus Pavlos Kontides has been named the male Rolex World Sailor of the Year. The London Olympics medalist, who graduated from a Ship Science degree in 2013, was honoured at the World Sailing Awards in Florida. 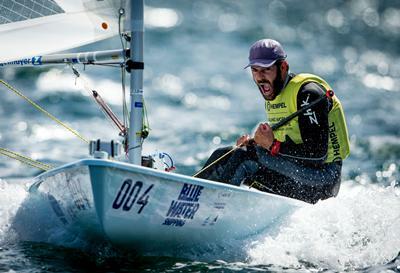 Pavlos retained his world title in the Laser class at the 2018 Sailing World Championship in Denmark this summer, a decade after he won the Youth World Championships at the same venue. He has become an inspirational figure in Cyprus since 2012, when his Olympic silver medal made him the country’s first ever athlete to bring home a medal of any colour at the Games. The World Sailing Awards represent the highest award that a sailor can receive and are selected by Member National Authorities and a public vote.